Brianna & Scott always knew they were going to end up together. These high school sweethearts weren’t going to let a little distance during college keep them apart! 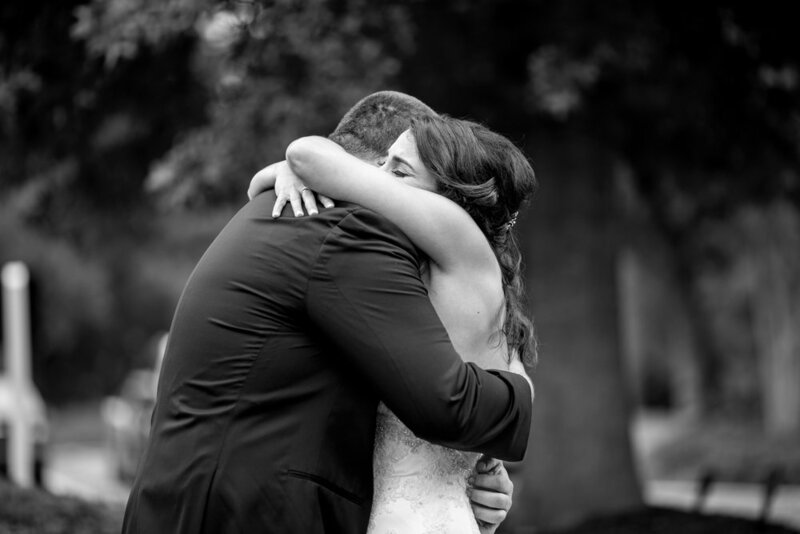 Their love continued even though Brianna went to NC State, and Scott went to ECU. The pair got engaged shortly after graduation, and knew just where to begin their journey. Scott has always been an avid golfer, and wanted to marry the love of his life where he grew up playing, North Ridge Country Club. 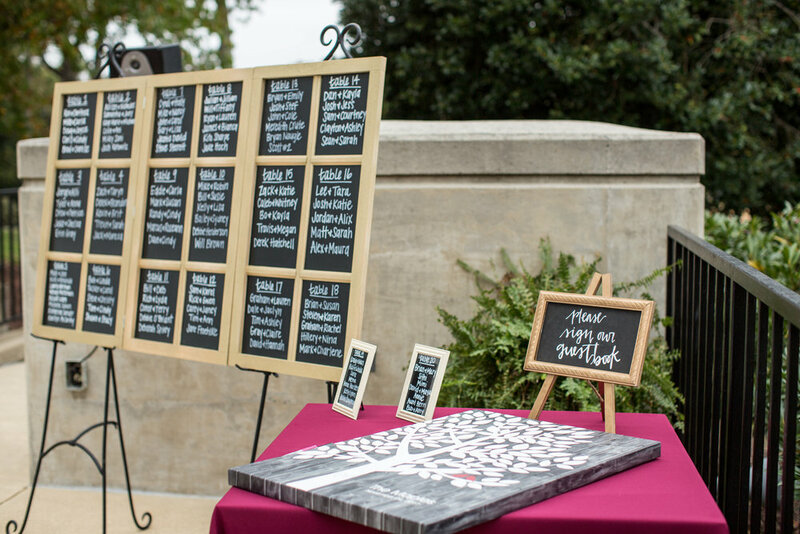 Brianna loved this idea so much, she arrived to the wedding on a Golf Cart, decorated by Forward Fig, and driven by her dad! I Do’s: The two made their commitment under the gazebo outside of the country club, located next to the putting green. Cocktail hour was located outside on the patio overlooking the beautiful grounds of North Ridge, complete with a bar and passed hors d’oeuvres. 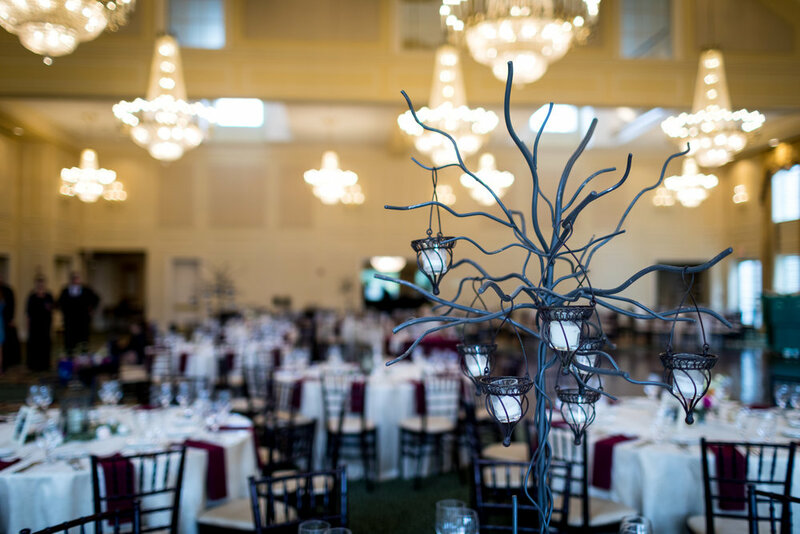 Centerpieces were a combination of wrought iron trees with hanging votives, along with floral arrangements and votives circling them. 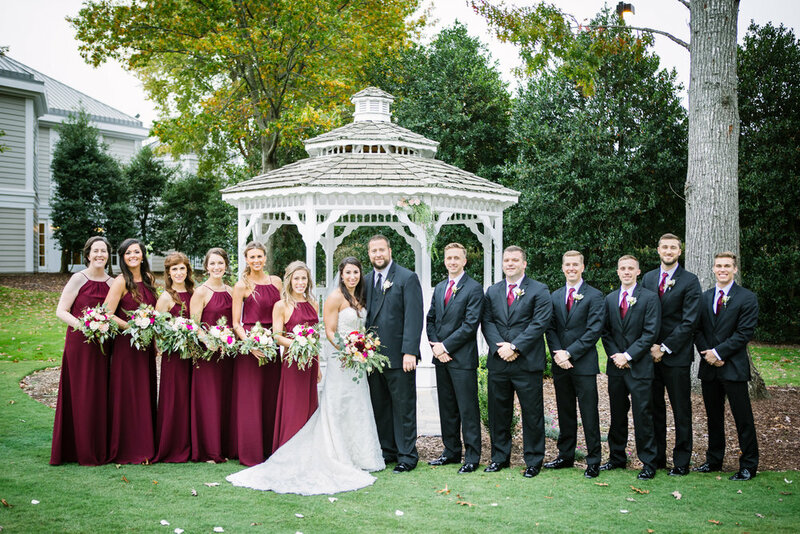 The colors for this wedding were a gorgeous combination of burgundy & blush, with a pop of greenery, by Lilybird Flowers. The lighted grapevine panels made a perfect backdrop for the cake table, highlighting the scrumptious confection made by the venue, North Ridge Country Club! 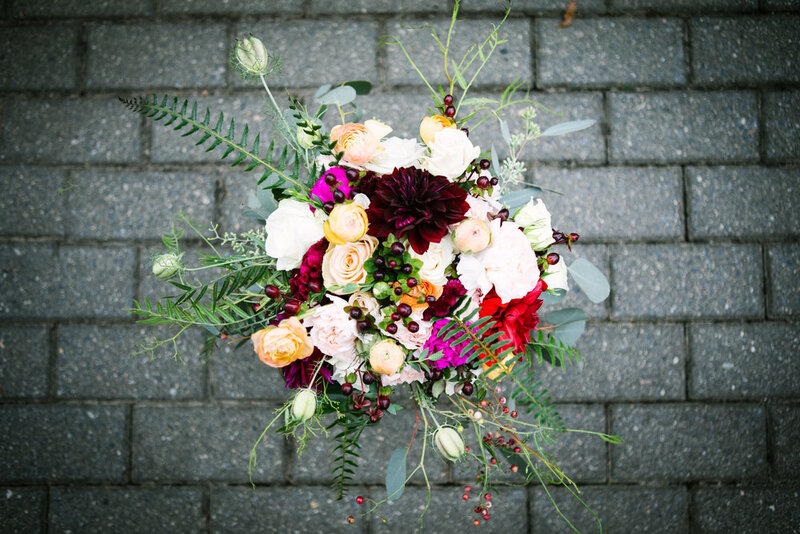 Post I Do’s: But wait, the couple didn’t stop there with sweets! 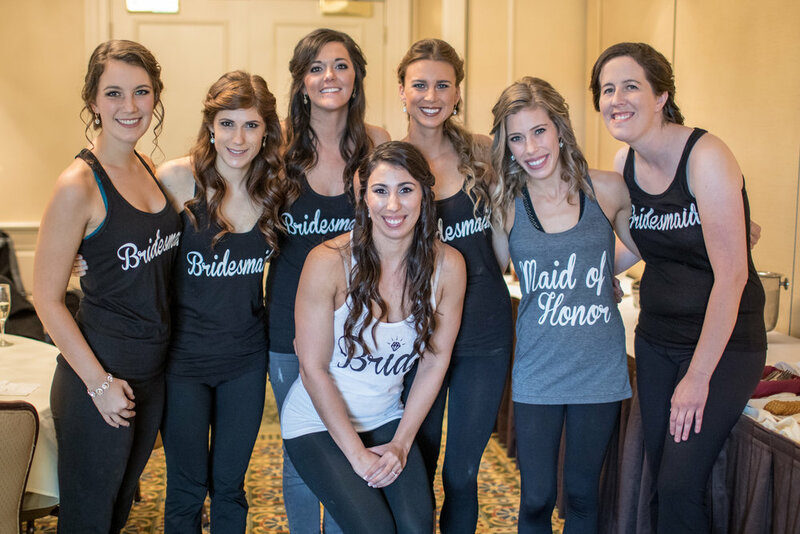 They also had an ice cream sundae bar, which opened following a buffet dinner and the cutting of the cake provided by North Ridge Country Club. Talk about all in one venue! The night continued to be a success, as everyone danced all the sweets off to tunes by DJ Q, K2 Productions! As the night came to a close, the high school sweethearts were sent off in style, with twinkling sparklers and a Bentley. Clearly, the love these two shared was so special that nothing could keep them away from each other. Life may have tested their love, but they proved that they could tackle any challenges that are going to be thrown their way. 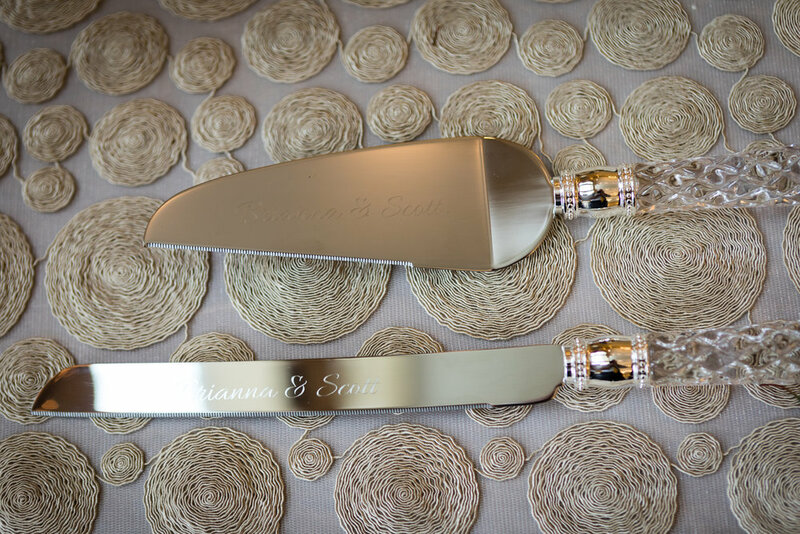 This is a testament to true love, and we are so glad we were there to witness it and make their big day so special!